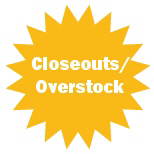 ATV Outfitters is your discount source for ATV parts and accessories. SUN - See you on the trails! Special-$48.00 - DOT AND SNELL APPROVED! The best bang for the buck exhausts on the market today. 2 year limited warranty and a wide range of products to fit most popular ATV/UTV Models. HUGE KIMPEX Trunk Sale - BUY BELOW DEALER COST!! Multiple Styles Available for this sale while supplies last! New! 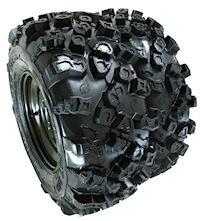 Click the above link to browse through thousands of ATV, MX, Offroad, Street and Utility vehicle products (choose the catalog you want on the left side of the page). Find the items you want and get detailed pics and descriptions (but disregard the prices). Email us at matthewbell@atvoutfitters.net and let us know the part numbers and we will give you our best price and availability. Receive special discount offers by email and information on new ATV parts and accessories! Warning: ATV Outfitters assumes no liability for personal injury or damage to an ATV due to an accessory, wheel and tire, or performance part purchased from us. Installing any of these parts may effect the performance or handling, and cause drive train stress. Copyright © 2002-2010 ATV Outfitters All Rights Reserved.